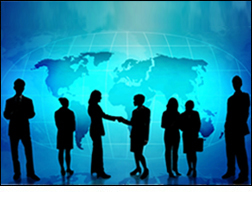 The International Law attorneys at The Williams Firm offer a broad range of legal services to businesses engaged in international commerce, including litigation and dispute resolution and transactional services especially in connection with those transactions that involve doing business in the United States or with U.S. companies. Our international law attorneys negotiate deals and obtain intellectual property protection globally. We negotiate cross-border transactions and prepare contracts between parties in different countries, protect trademarks and other intellectual property throughout the world, and advise on international business law issues. The international law attorneys at The Williams Firm can negotiate and prepare a wide variety of business contracts, and we can negotiate international deals between American companies and companies abroad. Our international law attorneys have negotiated transactions involving European, South American, Chinese, Japanese, East Asian, Mideastern, Australian, and American companies, among others. We can help clients protect their valuable trademarks in the Eurozone, Japan, Canada, Australia or elsewhere in the world. We understand the unique requirements for registering trademarks in each different country, and in cooperative economic regions such as the European Union. Contact an international law attorney at The Williams Firm in Walnut Creek, California.